We are in the last day of 2013 and the year is almost over. Tomorrow is the first day of the new year which comes with a new beginning and new hopes. 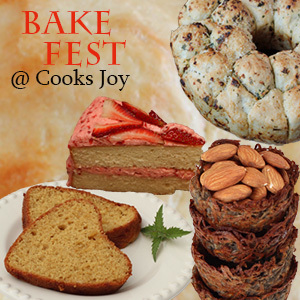 I am happy to announce that Vardhini's Bake Fest is happening here for the month of January 2014. It has been really long since I hosted any event here. Thanks to Vardhini for giving me a chance to guest host Bake Fest and also I expect all your co-operation and participation for the event. Send in any recipe which has been baked / broiled. Only vegetarian or vegan recipes please. Eggs are allowed for baking. Link to Vardhini's Bake Fest announcement and this announcement page is mandatory. If sending an old entry, it needs to be re-published with the links. You can send in any number of new entries and a maximum of 2 old entries. 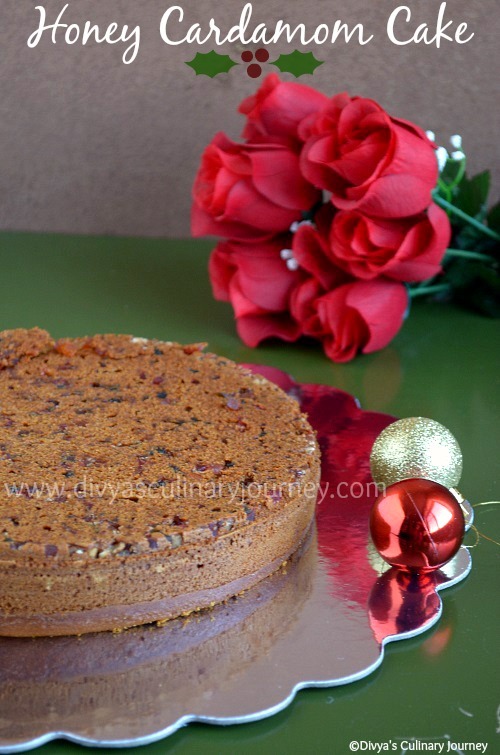 Hope to see lot of yummy bakes from you all. Do link them all here. 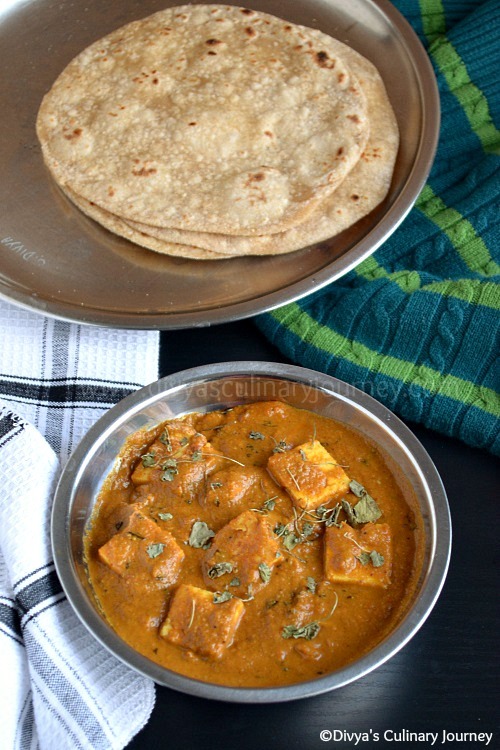 Today I am here with another Paneer recipe- Paneer Butter Masala. It is the most popular dish in any Indian restaurant. I am a great fan of this dish. 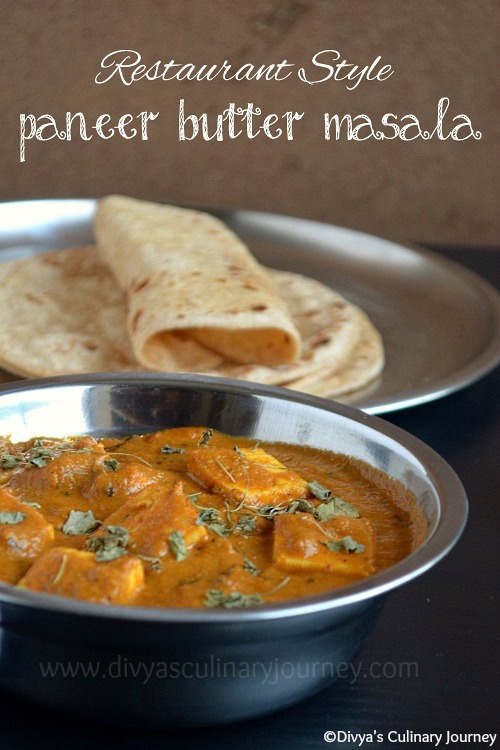 Whenever I go to restaurant, I always order Paneer Butter Masala until I started making it at home. Only then I realised it was so easy to prepare it as available in the restaurant at home itself. My kids love this too. Though not often, I have made this dish several times but it has never made to the blog. This time I managed to click some pictures. Here, it is the recipe for restaurant style panner butter masala. Soak cashews in 1/4 cup warm water and grind it into a fine paste and set it aside. Heat skillet add oil, and fry the cubed paneer pieces such that they are slightly golden on all sides of the cube. Remove from the skillet and keep these paneer pieces aside. To the same skillet, add fennel seeds,cloves, cinnamon, cardamom and fry for a minute or two, then add chopped onions and fry till they turn translucent. Now add the chopped tomatoes, ginger garlic paste, cumin powder, turmeric powder, coriander powder, garam masala and cook till the tomatoes are cooked and turn mushy. Now turn off the heat and let it come to room temperature. Then in a blender, puree this and set it aside. Add 2 tablespoons of butter in the skillet, add cumin seeds, then add bay leaf and fry for a minute. Then add the pureed tomato mixture, add cashew mixture, mixture well. Cook for 1-2 minutes. Now add the heavy cream, mix well and let it cook for few minutes. Now add the fried paneer pieces, mix well, adjust the consistency of the gravy by adding required water, add crushed kasoori methi, mix well and let it simmer for few more minutes. Turn off the heat and serve it warm along with rice, roti/ chappathi or naan. Instead of chilli powder, add kashmiri chilli powder. It gives nice colour to the gravy. Adjust the chilli powder as per the personal heat tolreance level. Instead of heavy cream, you can replace it with milk. 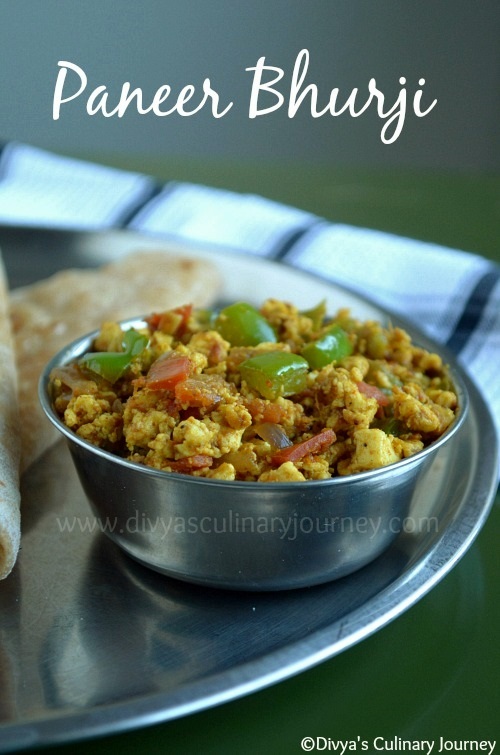 After all the cakes and bakes, today I am posting a simple and easy recipe- Paneer Bhurji. Though it is very easy to make, it is delicious and beware, high in calorie. With just simple ingredients, you can prepare this in no time. This can be served with chappathi or as a filling for sandwich. 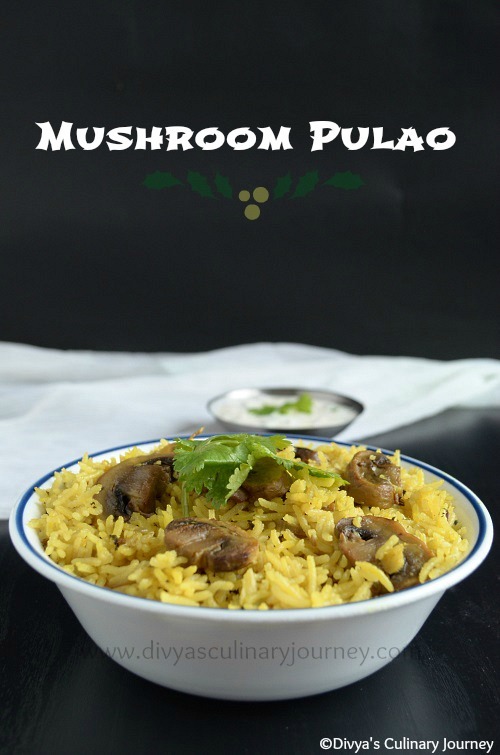 Mushroom Pulao- Flavorful one pot meal. 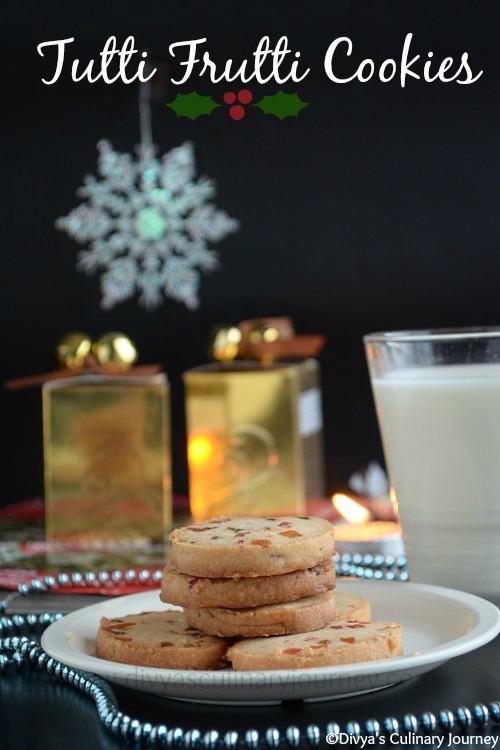 When one thinks of the holiday baking, Sugar Cookies always comes first. 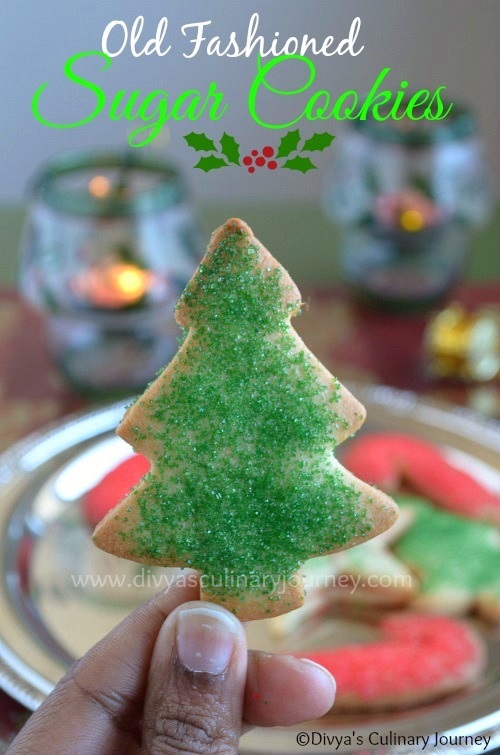 Today I am sharing the recipe of these simple Cookies. I baked these cookies along with my daughter, who shows lot of interest in baking too. She helped me with decorating the cookies too. We both really enjoyed baking together. The cookies were delicious. Even my 2 year old son enjoyed eating this cookies. 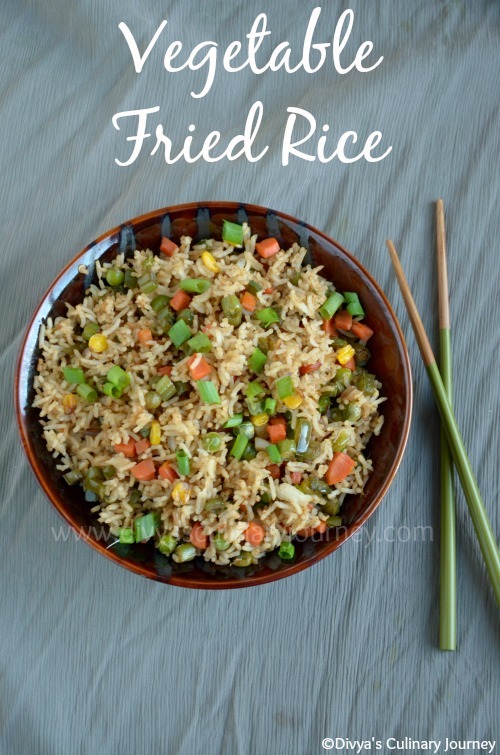 The recipe that I am sharing today is Vegetable Fried Rice. I prepared Vegetable Fried Rice for lunch along with Mushroom Manchurian for lunch last weekend. Vegetable Fried Rice is a simple dish that can be prepared in a jiffy.It is loaded with vegetables and with simple flavors, it is everyone's favorite. Even left over rice can be used to prepare this. I like to serve it with Gobi Manchurian or Mushroom Manchurian or other Indo-chinese gravy. 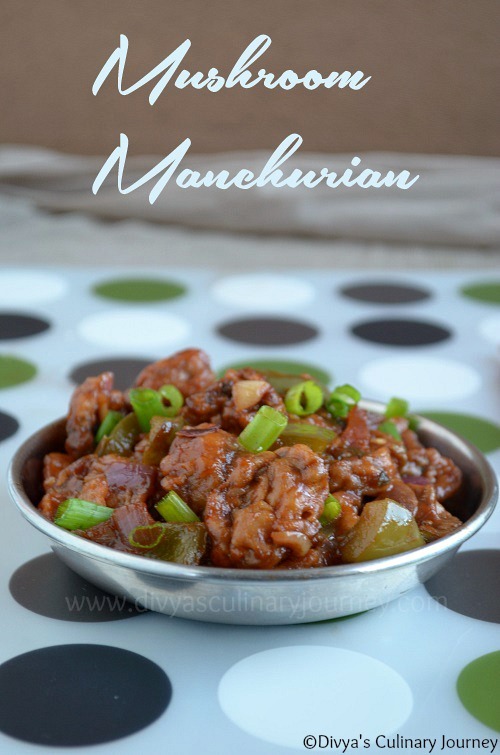 Today I am sharing here the recipe of Mushroom Manchurian - Mushroom Fritters tossed in sweet, spicy and sour sauce. It can be served as an appetizer or can also served be along with Vegetable fried rice or noodles. It is easy to make, but a little time consuming (at least according to me. ;) ) and it is Vegan. Today I am going to post the recipe of Baked Turkey meatballs. Since these meatballs are baked and not deep fried, they are healthy. 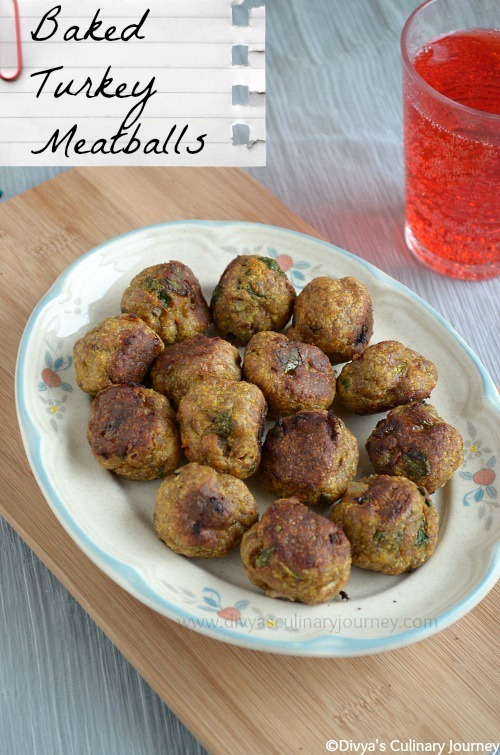 This simple Turkey meatballs are easy to make and can be served as an appetizer in a party. I have been making this often at home and everyone loves this too. With holidays around the corner, here is the recipe idea for a healthy appetizer. I have already posted Turkey Kofta curry. 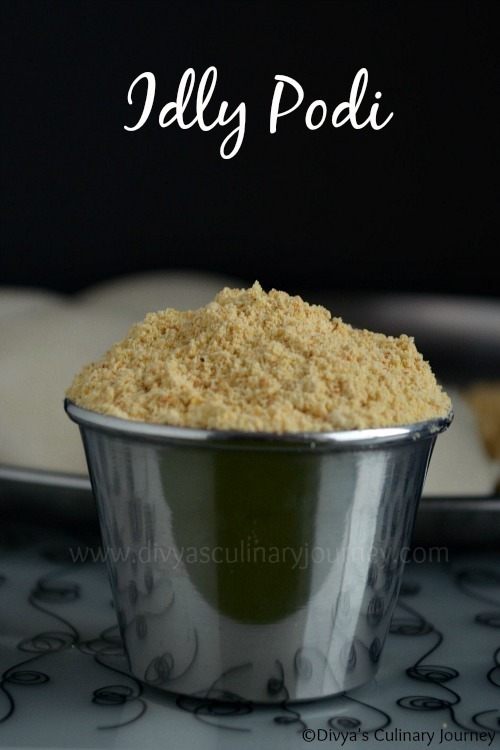 I am posting the recipe of Idly podi today. Idly podi is always a must in our house. We have it with almost everything- idly, dosa, chappathi and rice. Usually either my mom or my grandma makes it for us. When my mom came to visit us (2 yrs back) she made and brought it here, I was preserving and using it in ration. Finally when it was over, it struck that it was high time that I start making Idly podi on my own. I got recipes from various friends and made this recipe.The ratio of lentils varies in each recipe. Though I am yet to get my mom and grandma's recipe (which is by far my favorite). I will post that recipe too in the future . 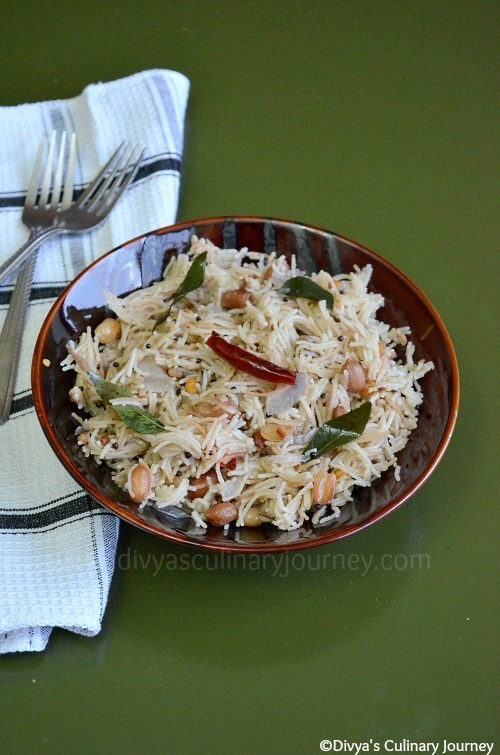 But for now I am posting the recipe which I have tried and liked it too. 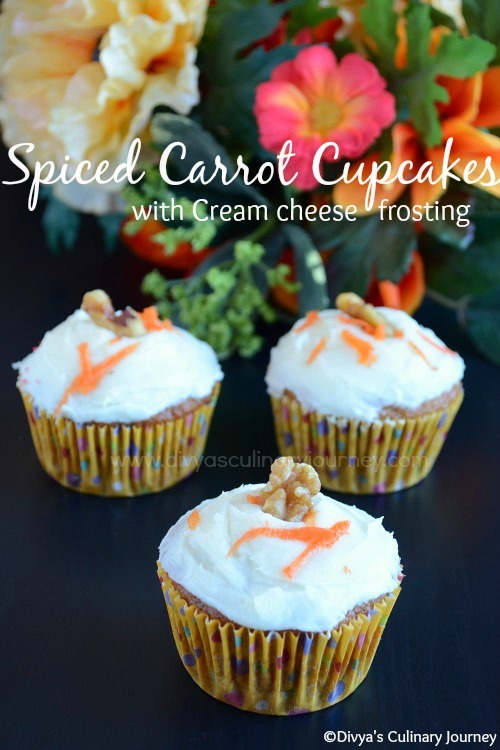 Few days back for Thanksgiving 2013, we had a potluck dinner and I made spiced carrot cupcakes and Devil's Food cupcakes. 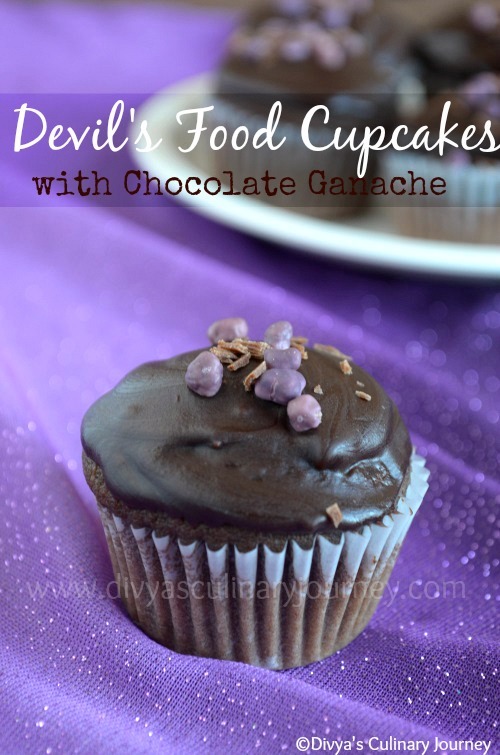 Today I am going to post the recipe of this Devil's food cupcake. I got the recipe from Martha Stewart's site. I baked this as a mini cupcakes. The cupcakes came out very soft and moist with rich chocolate flavor. Definitely a treat for chocolate lovers. Hello Friends,How are you all doing?? Here in US, it is a long holiday weekend. On Thanksgiving day,We had potluck with friends and for Black Friday did a lot of shopping and the other two days spent at home,all in all it is a fun and relaxing weekend. Please do share with us how you spent your holidays. Hope you had a great time too.